Watch out for Rose Rosette Disease. It is infiltrating our area and I saw a lot of it on some clients’ roses last fall and there is no cure. Here’s how you know you have it: the new growth is usually red (although that part is not uncommon), but it comes out very thick and gnarly…some call it a witches’ broom. There can also be an extreme abundance of thorns on the stems. 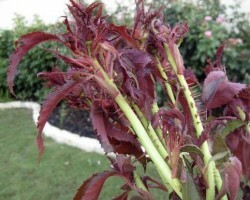 Rose Rosette Disease is caused by a virus spread by mites. 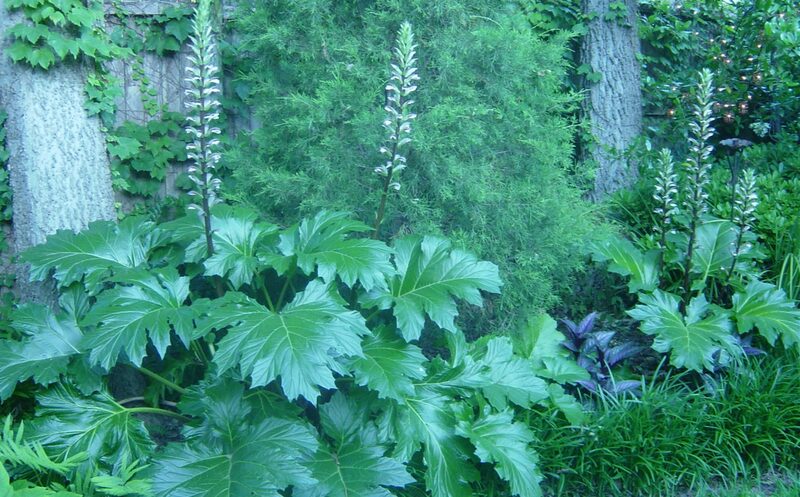 It’s airborne and once your plants are infected the recommended course of action is to take them out to stop the spread of the disease. Be sure you get all the roots out of the soil. Researchers say you can plant roses in that same spot again. I don’t know if I would but maybe I would wait a season or two. If you Google Rose Rosette Disease you will see other options to try. The only cases I have seen on my clients’ bushes were so severe that removal was the best option. But you may feel lucky and want to try preliminary measures.